Did you know Roman Chamomile oil is the Oil of Spiritual Purpose? Roman Chamomile supports a person who is discovering and living their true purpose in life. Roman Chamomile helps individuals find purpose and meaning in their lives. Chamomile assists the person that is consumed with meaningless activities, helping them focus on more fulfilling work. The Egyptian’s dedicated Roman Chamomile to the sun and worshiped it above all other herbs for its healing properties and has been used cosmetically for at least 2,000 years. Chamomile was also used by the Romans in medicines, beverages and incense. Ancient Romans used the oil for mental clarity and courage during war. One place Roman Chamomile grows very well is in the United Kingdom, harvesting takes place during late June or July although heavy rain often causes problems to the farmers schedule. And as if that were not enough, the crop must be harvested at the precise time that it contains the highest yield of essential oil, so this can be quite a challenge to say the least. Other countries that grow Chamomile for the production of essential oil, include Argentina, Belgium, France, Hungary, Italy and the USA. Roman Chamomile grows close to the ground, reaching only up to a foot in height. It has gray-green leaves, flowers that resemble a daisy, and smells like apple. The plant has been nicknamed the “plant’s physician,” because it has positive effects on plants growing nearby. While the most common use of chamomile is in teas, Roman Chamomile can also be found in face creams, drinks, hair dyes, shampoos, and perfumes. 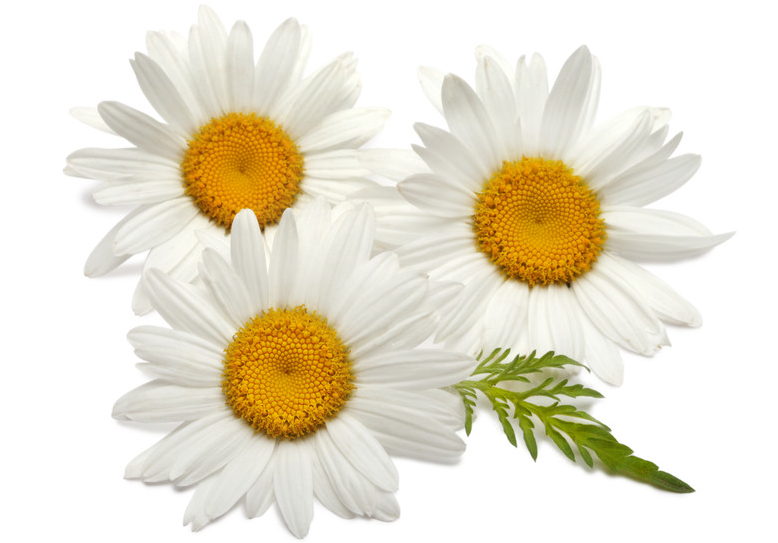 Roman Chamomile has a therapeutic, calming effect on the skin, mind, and body. It soothes body systems and promotes a healthy inflammatory response. When a recipe calls for a tsp. 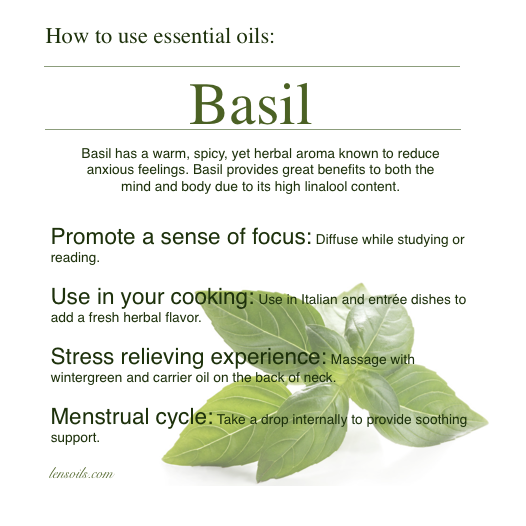 of basil, a drop is usually plenty. If any of you know me I have a hard time sitting for long periods of time without getting drowsy or even falling a sleep. As a regular church goer I found myself in this situation most weeks sitting in church. The heart and mind were willing to stay awake and focused, yet the body was weak. I would doze off to sleep often on the hard pew benches. All through Elementary, Junior High, and High School I struggled with learning partly due to my inability to focus. I also was developmentally behind most kids my age, because it was discovered I couldn’t see very well when I went in for my kindergarten check-up. Most subjects in school were painfully hard for me, and almost unbearable to do school assignments. Homework was also a nightmare for me and my family, becoming an all night project. Now that I have painted this picture of my inability to focus you might find it interesting to know that I became an Eagle Scout. If it wasn’t for my sister, Ramona, and my parents I don’t think this accomplishment would have happened. My dad was the scout master, and my mom was great at knowing what I needed to do, My sister was great at helping me with my merit badges. I went to my first essential oil convention in 2012, and was thrilled when they introduced a new essential oil blend used to help you focus. I was so excited to see if this oil really works so I rubbed some on the back of my neck before church, It worked. I stayed a wake. How I wish I had this oil when I was a struggling young student. Any chance I get now, I like to share this new discovery of essential oils with others. Best of all there are no side effects. ADHD kids may now have a new alternative to powerful drugs with bad side effects. This essential oil is a great new friend for everyone who needs help staying focused.